The Catholic Diocese of Duluth, headquartered at 2830 East Fourth Street in Duluth, covers 10 counties in northeastern Minnesota. 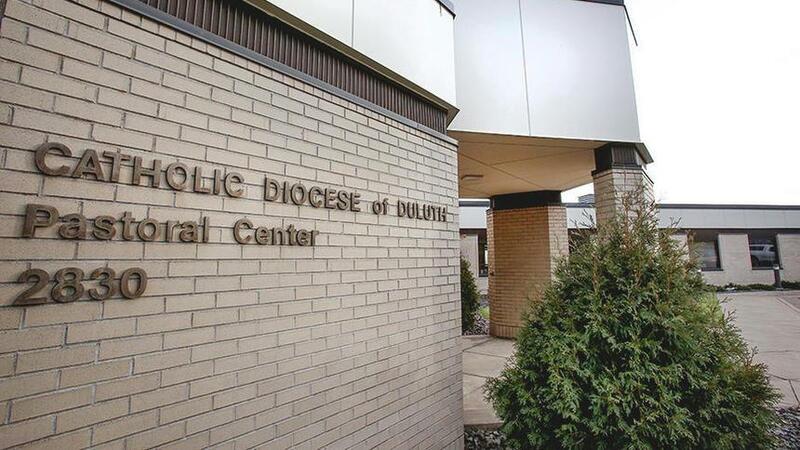 The Diocese of Duluth is expected to enter mediation this summer with representatives of dozens of alleged victims of child sexual abuse, as the parties seek to reach an amicable agreement in the diocese's ongoing bankruptcy case. U.S. Bankruptcy Judge Robert Kressel approved a motion to appoint Gregg Zive as a mediator to work with the diocese, its insurers and attorneys representing claimants. Zive, a bankruptcy judge in Arizona who has experience handling diocesan bankruptcies, was mutually recommended by the diocese and St. Paul-based Jeff Anderson and Associates, the law firm representing most of its creditors. Kressel said Zive is not expected to be available until June, which places the likely start date after the May 25 deadline for abuse victims to file claims in bankruptcy court. Phillip Kunkel, an attorney for the diocese, said he plans to meet with representatives of the half-dozen insurance companies employed by the diocese, hoping to ensure their presence at the bargaining table. "That's what we intend to be doing between now and the beginning of any mediation," Kunkel said at a Thursday hearing in St. Paul, noting that the diocese had little time to prepare for the bankruptcy proceedings. The diocese filed for Chapter 11 protection in December after it was hit with a nearly $4.9 million verdict in the first case to go to trial under the Minnesota Child Victims Act, which opened a three-year window for victims of child sexual abuse to file lawsuits that would otherwise be barred by statutes of limitation. With an annual budget of about $3.3 million — and facing dozens of additional claims — diocese officials stated that bankruptcy was the only way they could fairly compensate all victims while maintaining essential church operations. The diocese is the 15th in the nation to file for bankruptcy, and attorneys say every previous case has been resolved through negotiations with victims. Zive, who has worked as a bankruptcy judge in Reno, Nev., since 1996, has served as a mediator in diocesan bankruptcies in Spokane, Wash., and Stockton, Calif., along with the municipal bankruptcy of San Bernardino, Calif.